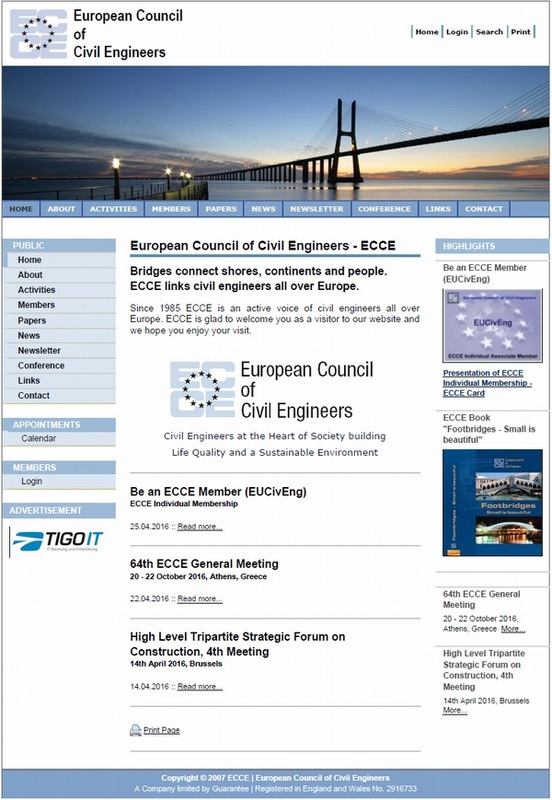 We are pleased to introduce European Council of Civil Engineers (ECCE) in the JSCE IAC News No. 53. Japan Society of Civil Engineers signed an agreement with ECCE in London in January 1995, where their secreatriat was located in those days. Since then, ECCE and JSCE has built friendly relations over 20 years. In the spring 2013, Dr. Takehiko Ono, the 100th President of JSCE, participated in the ECCE General Meeting held in Lisbon, Portugal and invited ECCE members to attend JSCE's 100th Anniversary Commemorative Ceremony and meetings to be held in November 2014.
http://www.ecceengineers.eu/newsletter/Files/ECCE-E-journal12.pdf, and also invited ECCE to contribute their essay to our newsletter in return. As of 2016, among the 23 civil engineering organizations that are members, the ECCE accounts for about 70% of the member countries of the European Union, and it is exactly an association of civil engineering organizations in Europe. At the European Union level, ECCE aims to promote the highest technical and ethical standards, to provide a source of impartial advice, and promote co-operation with other pan-European organisations in the construction industry. ECCE also advises and influences individual governments and professional institutions, formulates standards and achieves a mutual compatibility of different regulations controlling the profession, and formulates standards for a European Code of Conduct of the Civil Engineering Profession and disciplinary procedures applicable throughout the Union. ECCE formulates guidelines to maintain and raise standards of civil engineering education, training and professionals competence, as well as assisting in achieving mutual compatibility of Euro codes, standards and regulations in the related industry and encouraging and improving levels of safety and quality in the industry. “Civil Engineers at the Heart of Society Building Life Quality and a Sustainable Environment”. 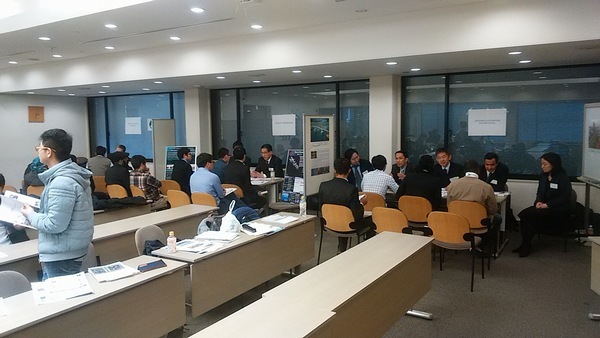 The IAC International Student Network Group hosted a joint company information session for international students at the JSCE headquarters on Saturday, December 17th, 2016, with the aim of providing international students studying in Japan with an opportunity to learn about Japanese civil engineering and related companies and obtain employment information. It is the fourth session since the Joint Company Information Session started in 2013. Seven companies participated and delivered presentations in the session. Each company handed out its brochures and talked about the outline of its business to the students at its booth. 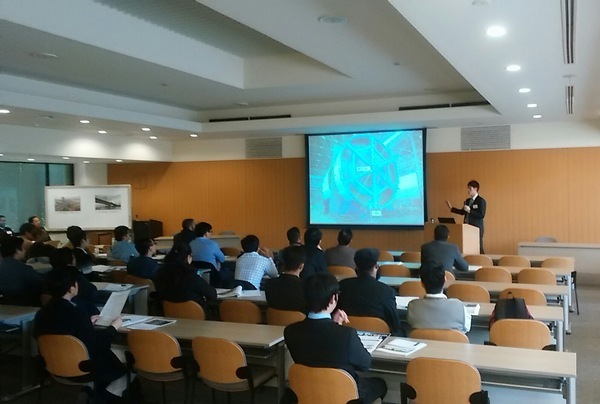 Thirty-five students attended the session, mainly from universities in the Kanto region. The Joint Company Information Session was composed of three sessions. All presentations were made in English. At the first session, Mr. Kazuhisa Fujii, Director for Overseas Project, Overseas Project Division, Policy Bureau, Ministry of Land, Infrastructure, Transport and Tourism (MLIT), discussed the ministry’s expansion of overseas activities as a special lecture. Next, Mr. Kim, Jeongho, a former international student who works for the Japanese construction company Obayashi Corporation, spoke of his experience. At the second session, every participating company made a 10-minute presentation on its business operations, overseas projects, strong points, and recruitment of foreign students. The presentations were made by mid-career and young foreign staff studied in Japan and Japanese staff experienced in the international arena. The students intently listened to the briefings and collected information about Japanese construction-related companies. At the third session, the students visited the booths of those companies and asked intently about their businesses and job opportunities. The participating companies in the session gave us the impression that they were willing to continue attending the session in the next year and later. There seemed to be a lot of international students attended the one last year. I again realized the demand for such kind of events. Nowadays the importance of overseas expansion of Japanese construction industry have come to be recognized widely. Therefore, it is desirable that we would continue our effort to offer information about Japanese companies and the opportunities in which international students would find a place to take an active role, pursuing their goals. Although we may not see increasing job opportunities for international students, we continue to plan and offer the opportunity to link between international students and the Japanese business sector through these events. 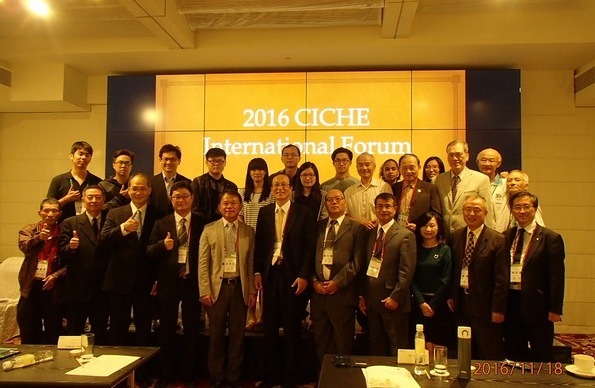 On November 18 and 19, 2016, Annual Convention of Chinese Institute of Civil and Hydraulic Engineering (CICHE) took place in Taichung city, Taiwan. 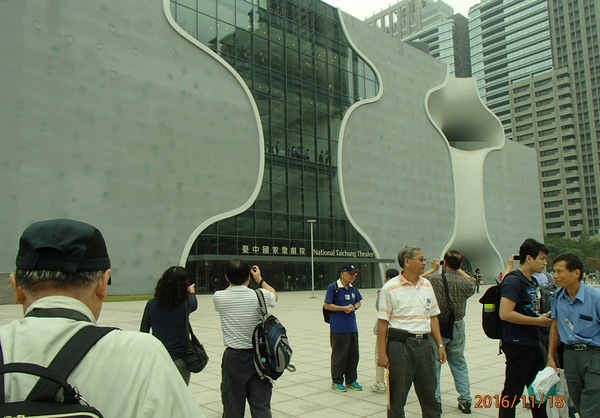 On November 18, participants visited two sites in the morning and had International Forum in the afternoon. On November 19, they joined the Annual Meeting in the morning and had educational workshops in the afternoon. The first site we visited was a station of MRT project, which is still under construction. Its construction seems to have been managed, taking quality, safety and environment into consideration. The second site was National Taichung Theater completed recently. A local contractor elaborately worked on various curved concrete structures, embodying intentions of the designer, Toyo Ito. At the International Forum, not only Taiwan, a host country, but also Hong Kong, Korea and Japan presented cases describing how they overcame difficulties in overseas projects such as Jakarta MRT, Bangkok MRT, Third Bosphorus Bridge and Taiwan Kaohsiung MRT and exchanged their opinions from technical perspective. 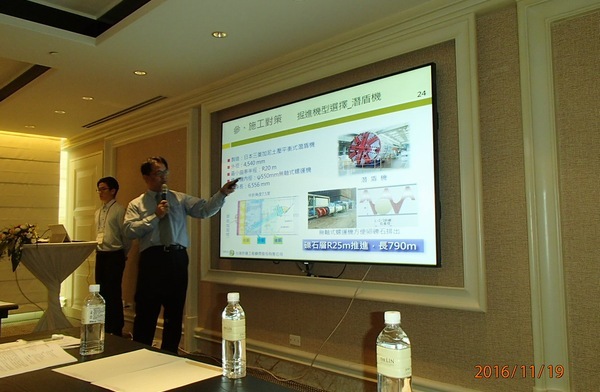 The writer presented a case of JV management between Taiwanese and Japanese contractors at Kaohsiung MRT. At the Annual Meeting, Prof. Liang-Jenq Leu, President of CICHE, gave an opening speech and Mr. Hong-Mo Wo, Executive Yuan of Minister of Public Construction Commission, gave a speech about the issues of public projects in Taiwan. In addition, a ceremony of awards took place. At the educational workshops, participants were allowed to attend two out of six workshops whose topics were Sustainability of Water Resources, Engineering Education I, Underground Excavation, Procurement Law, Engineering Education II and Labor Safety and Health. The writer attended Underground Excavation and Labor Safety and Health, and leaned recent situations of Taiwan. 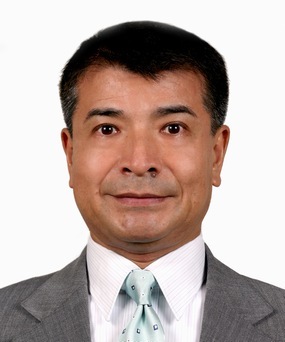 As having being engaged in Kaohsiung MRT project from 2002 to 2010 as well as activities at Japan Society of Civil Engineers Taiwan Section from 2008 to 2010, the writer is acquainted with some people in Taiwan including Assistant Prof. Wu-Te Ko at Cheng Shiu University (Taiwan Section Secretary General). I also met some new people who had acquaintances in common. It was significant to have a relationship with CICHE, Korean Society of Civil Engineers (KSCE) and Asian Civil Engineering Coordinating Council (ACECC). I would like to maintain a good relationship with people I know and keep exchanging messages. The summary of feature articles in the March 2017 issue of the JSCE Magazine is available on the JSCE website. Five projects introduced in the booklet “TRANSFER OF CIVIL ENGINEERING TECHNOLOGY IN SERVICE” issued at the time of the 100th year anniversary of JSCE can be viewed on the JSCE Website. The Journal of JSCE is the collection of research papers which can be viewed on the JSCE website.